The Denver Nuggets wrapped up the 2017 Preseason on Tuesday night at the Pepsi Center in a 96-86 loss at the hands of the Oklahoma City Thunder. In their first and only preseason game at home, the Nuggets rallied and cut the deficit to one point with just under seven minutes to play. The Thunder went on to finish the game on a 20-11 run and closed the door on Denver’s preseason action. 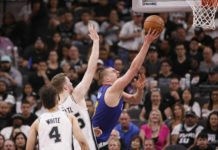 The Nuggets tallied a 3-2 record over a five-game preseason schedule with two wins over the Los Angeles Lakers and a victory on the road against the Golden State Warriors. Denver also got their first taste of life with free agent addition, four-time NBA All-Star, Paul Millsap. 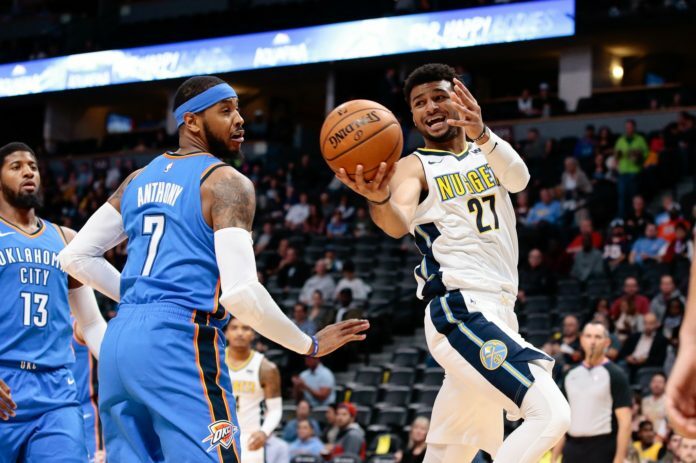 The biggest storyline of the preseason was the battle between Jamal Murray, Emmanuel Mudiay and Jameer Nelson for the starting point guard position. 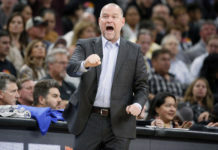 While Murray started the final game of the preseason, it remains to be seen which direction Head Coach Michael Malone will choose to go when the regular season gets underway. There is a sense that neither of the young point guards have created enough separation yet to secure that role. Denver certainly looks like a better team than they were just a season ago, but only time will tell if they can progress enough to make headway in the loaded Western Conference. The Nuggets have five of their first seven games on the road at the outset and one week to prepare before the regular season begins. 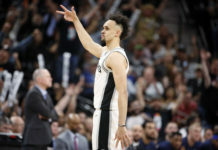 The wins and losses begin to count in one week’s time when the Nuggets will travel to play the Utah Jazz on Wednesday, October 18th in the season opener. Mat Smith and Aniello Piro recap the game and put a wrap on the 2017 preseason from Pepsi Center.